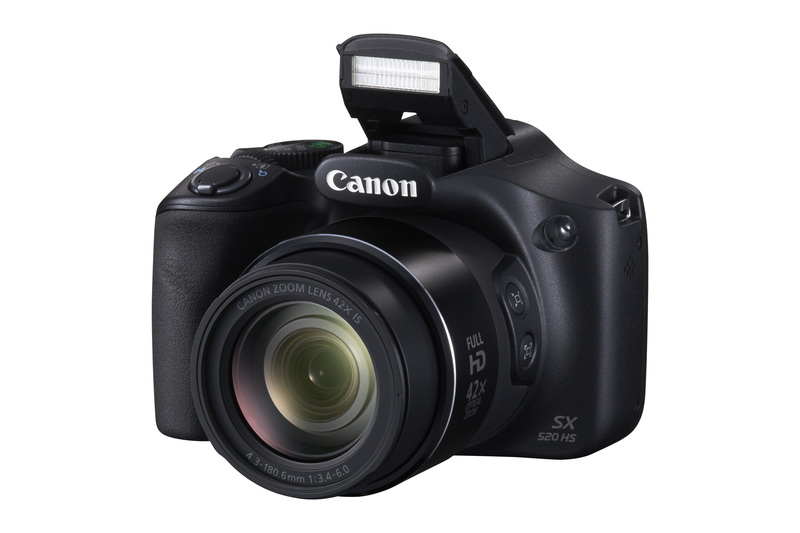 Canon announced two new digital cameras to their PowerShot family line up, the Canon PowerShot SX520 HS and SX400 IS. They are the perfect cameras to capture high quality long distance shots at the click of the shutter. Integrated with Canon’s unique ZoomPlus technology that digitally extends the camera’s zoom reach up to double that of the optical zoom while maintaining high image quality, the PowerShot SX520 HS and SX400 IS allows users to conveniently capture images at the telephoto end. Additionally, the Advanced Zoom Framing Assist function available on the PowerShot SX520 HS enables users to capture sharp images of moving subjects from long ranges. Keeping the needs of amateur travel and sports photographers in mind, the new cameras are designed to feature long range zoom capabilities within a compact body, while being affordably-priced. 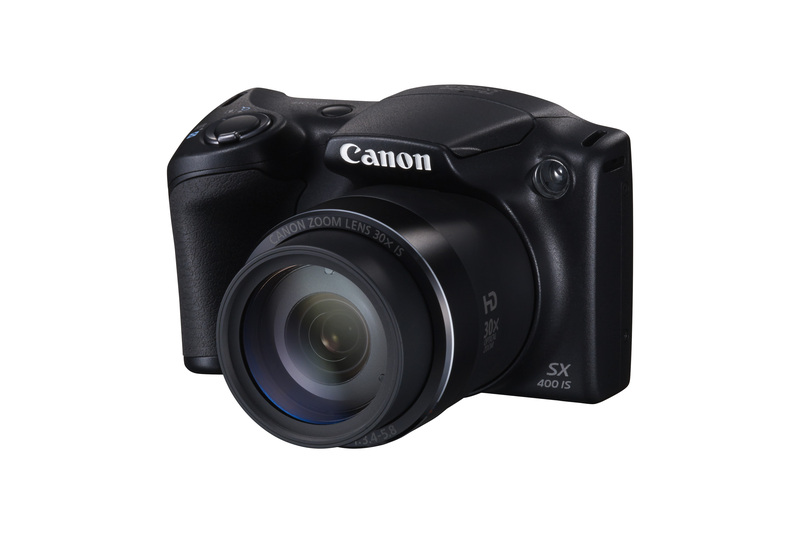 The 16.0 megapixel PowerShot SX520 HS has a powerful 24-1008mm (35mm equivalent), 42x optical zoom lens, which is extendable to 84x with Canon’s ZoomPlus Technology. Similarly, the PowerShot SX400 IS is also a 16.0 megapixel camera that comes close with a 24-720mm (35mm equivalent), 30x optical zoom, which is extendable to 60x with Canon’s ZoomPlus Technology. Additionally, the PowerShot SX520 HS comes equipped with Advanced Zoom Framing Assist, an improvement from the Zoom Framing Assist function featured in its predecessor. This new function helps to track and maintain optimum clarity of the subject in focus within the frame and works in two ways – Seek Assist and Auto Zoom. The Seek Assist function available on the PowerShot SX520 HS helps users search for a subject when it goes out of frame by zooming out and reverting to the original zoom level upon locating the subject. This function will come in particularly handy when users are looking to capture moving subjects with unexpected directional changes. The Auto Zoom function on the other hand, automatically adjusts the zoom level to maintain the same subject’s size and focus as it moves closer to or further from the camera. Users will also have more detection options with the new PowerShot SX520 HS, such as face, upper body, whole body or manual. The improved ergonomics of the PowerShot SX520 HS and SX400 IS are designed to provide users with a comfortable and secure grip that allows them to operate the camera with utmost stability. Both cameras also make use of Canon’s intelligent IS to accurately detect and reduce even the slightest blurring of image caused by shaky hands. The PowerShot SX520 HS is designed with an accessible mode dial similar to the ones on Canon’s premium EOS DSLR cameras; users will be able to make quick adjustments while maintaining a tight grip on the camera and keeping the subject in frame. Powered by a DIGIC 4+ image processor and 1/2.3 type 16 megapixel CMOS sensor (16 megapixel CCD for PowerShot SX400 IS), users can expect rapid auto-focusing and high speed start-up to capture unexpected moments with clarity and vibrant colours. Encouraging users to experiment with creative filters, the PowerShot SX520 HS’s Creative Shot function comes with 46 different filters – almost double the amount of filters available in Canon’s previous generation of compact cameras. When activated, the camera analyzes a scene and automatically selects the most suitable filters for the shot. With this function, five different looks will be generated in addition to the original shot. Users can choose their desired look for the shots from categories such as Retro, Monochrome, Special or Natural and the PowerShot SX520 HS will apply filters within that selected category. Canon recognizes that video shooting is becoming increasingly popular with users and as such, both cameras are designed to record high quality videos – The PowerShot SX520 HS is capable of recording videos in Full HD resolution with a smooth frame rate of 30p and the PowerShot SX400 IS is capable of recording videos in HD resolution with a frame rate of 25p. Users can now conveniently shoot videos in high clarity at the touch of a button.